Parthiv won the banter this time. They were once mates in the Indian national team and the camaraderie is still not lost. 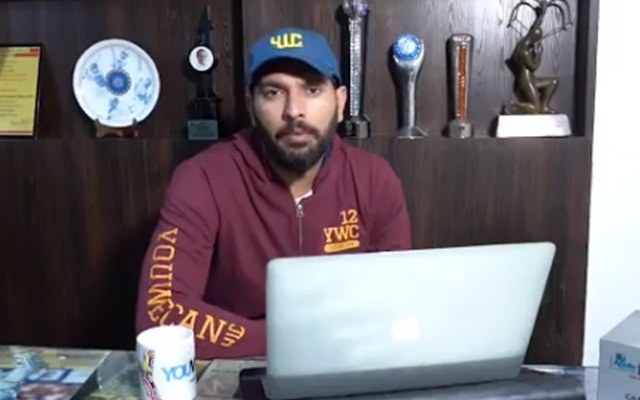 Yuvraj Singh and Parthiv Patel recently came up with an exchange of banters online and the fans enjoyed it. However, though Yuvraj ‘wins’ on most occasions with his funny pokes at fellow cricketers, this time the diminutive wicketkeeper-batsman gave it back, much to the amusement of the viewers. Though Yuvraj no more plays for India and Parthiv makes occasional non-playing appearances in the Test team, both the veterans are set to don their respective colours in the upcoming edition of the Indian Premier League (IPL). Exchanging banters is not something new for Yuvraj and Parthiv. Not long ago, the keeper had brutally trolled the dashing left-hander after he tried to take a dig at the former on Instagram. It was related to the Ranji Trophy. While Yuvraj mocked Parthiv over a picture of himself expressing excitement over the quarterfinal clash between Gujarat and Kerala, the senior India keeper reminded Yuvraj that his team Punjab had not even qualified beyond the group stage. On Thursday, there was another round of online exchange between the two players and this time again, Parthiv made a solid ‘retaliation’. 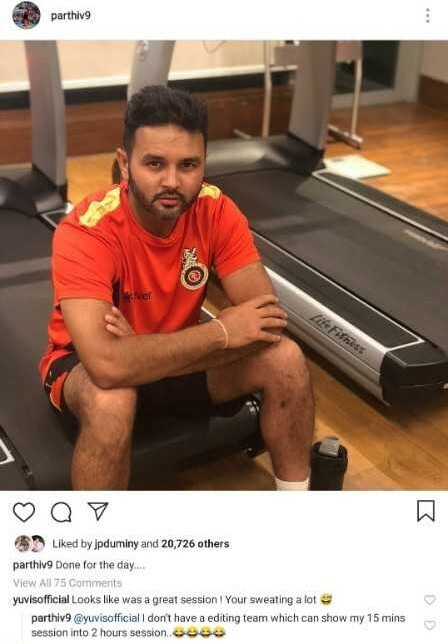 It so happened that Parthiv posted a picture of himself after a workout in the gym and captioned it: “Done for the day….” Wearing his Royal Challengers Bangalore outfit, Parthiv was seen sitting on the treadmill. Both the senior players had an ordinary run in the Ranji Trophy this year even though Gujarat did better than Punjab as a team. Parthiv was part of the Indian Test team that toured Australia recently though Yuvraj hasn’t got a national call after the 2017 tour of the Windies. He also almost missed the bus in the IPL till Mumbai Indians picked him up at the dying moments of the auction in December.